The recent tunnel failure at the Hanford Nuclear Reservation and the reconsideration of National Monument status for the Hanford Reach are reminders of the legacy of World War II and the Cold War in Washington State. 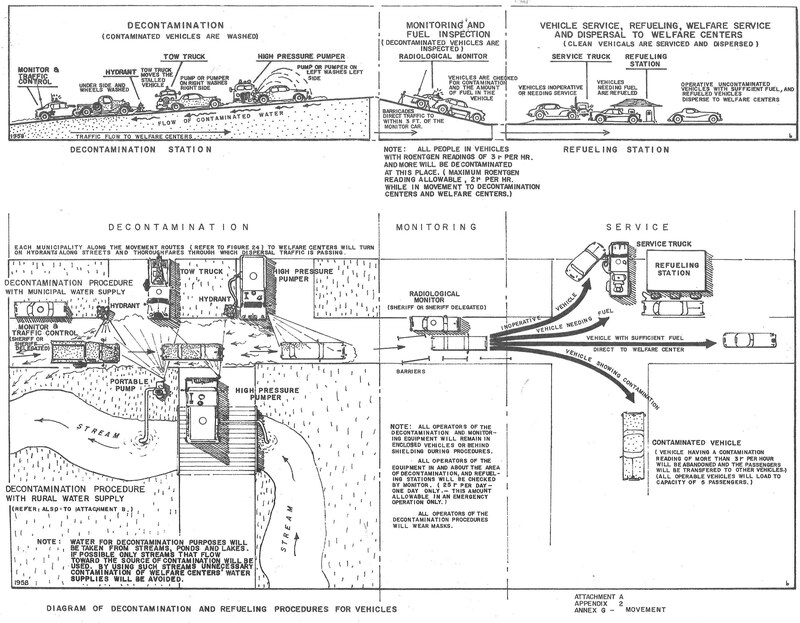 Earlier this month, one of our researchers discovered King County’s 1959 civil defense plans for mass evacuation/relocation and for radiation decontamination of people and vehicles. Seattle Target Area Dispersal Plan and plans for decontamination of people and vehicles. 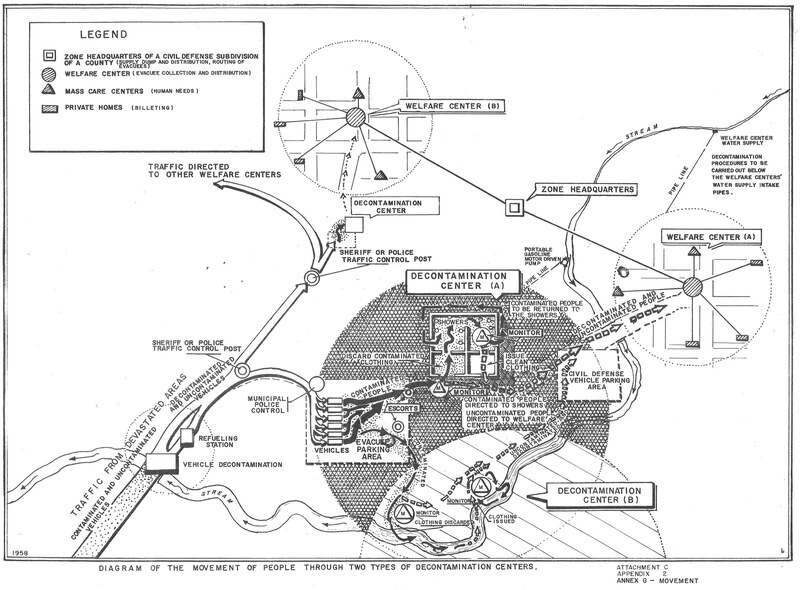 Operation Plan for Civil Defense of Seattle Critical Target Area and King County, March 31, 1959. Series 32, Department of Public Works Correspondence Files. Established in 1957, the Seattle-King County Office of Civil Defense cooperated with federal, state, and other local agencies in preparing the region for nuclear attack. It managed civil defense program activities including fallout shelters; chemical, biological, and radiological warfare defense; emergency communications and warning systems; and preparedness planning. 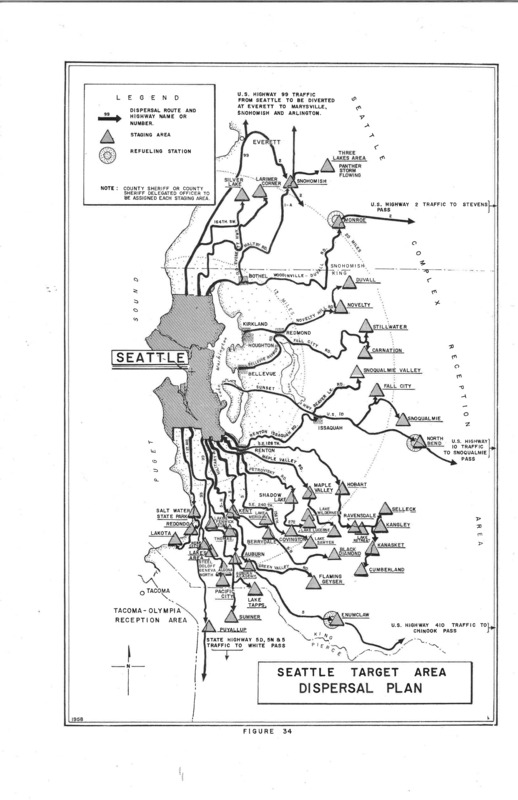 In 1974, the joint agreement between King County and Seattle was dissolved and responsibility of civil defense and other regional emergency planning remained with King County (for current information, see King County Emergency Management). Cover of “Home Fallout Shelter: snack bar – basement location, plan d,” United States Department of Defense, 1966. Series 1216, Civil defense guides, Department of Executive Services Office of Emergency Management. 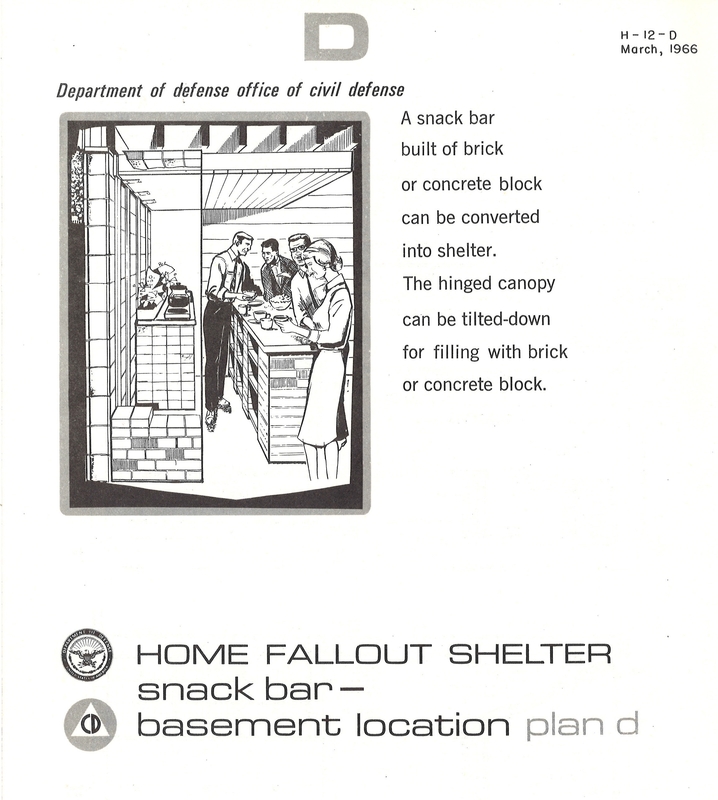 These and other Civil Defense records in the Archives collection help document an era when the threat of nuclear war was ever-present in daily life, as illustrated above in the plans for a basement snack bar that could be converted into a bomb shelter.